More than 10,000 people in the North West have signed up for the Government’s new savings account – Help to Save – depositing over £1 million. 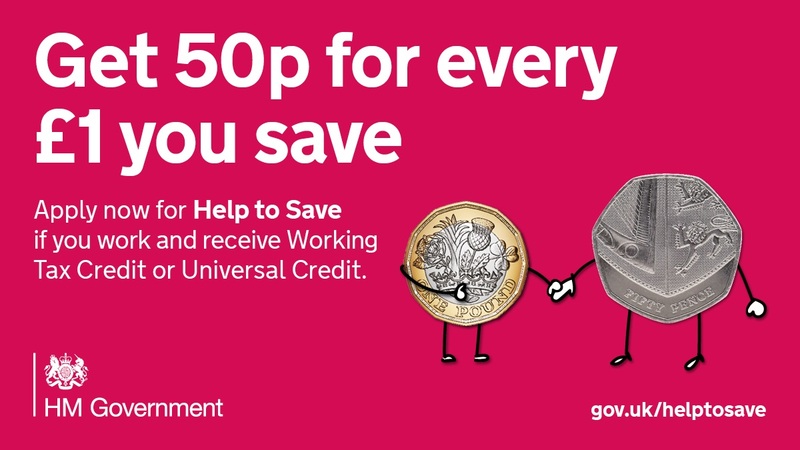 The account available to working people on lower incomes offers a 50% bonus, with Help to Save rewarding savers an extra 50p for every £1 saved. Over four years a maximum saving of £2,400 would result in an overall bonus of £1,200. Help to Save is easy to use, flexible and secure, and will help those on lower incomes build up a ‘rainy day’ fund, and encourage savings behaviours and habits. How much is saved and when is up to the account holder, and they don’t need to pay in every month to get a bonus. Account holders can save between £1 and £50 every calendar month and accounts last for four years from the date the account is opened. After two years, savers get a 50% tax-free bonus on the highest balance they’ve achieved. If they continue saving they could receive another 50% tax-free bonus after a further two years. On maximum savings of £2,400 over four years, the overall bonus would be £1,200. To apply, savers can visit www.gov.uk/helptosave or use the HMRC app.